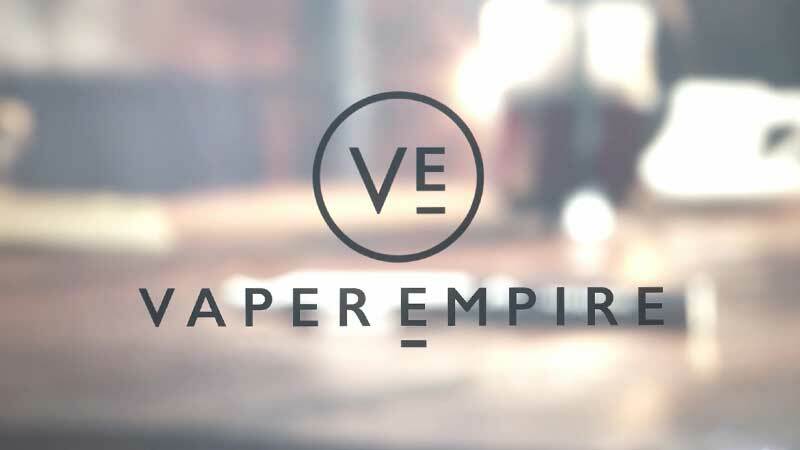 The V-Pack II Series e-cigarette is one of Vaper Empire’s most unique products and is perfect for first-time vapers who have recently made the switch from tobacco cigarettes. 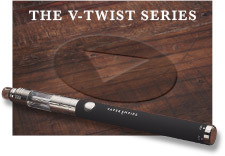 With the ‘cig-a-like’ design of each device and a portable charging case that resembles a traditional pack of cigarettes, there’s no better way to transition to the flavour, experience and cost-savings of vaping. 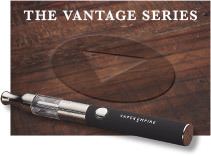 Enjoy the first-class performance of the V-Pack II and take comfort in the familiarity of its beautiful design. A Deluxe Starter Kit is an excellent way to pick up your first device. 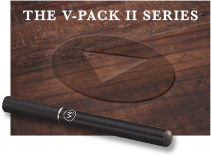 The V-Pack II Deluxe Starter Kit is a convenient, value-packed package for first-time buyers that’s extremely cost-effective when compared with traditional cigarettes. 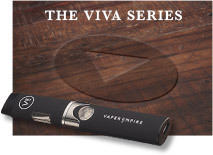 The e-cig itself comprises a battery stem and a disposable cartomiser, which screw together with a slim, lightweight profile. This is complemented by a portable charging case finished in black and gunmetal grey, which contains a 1200mAh battery for charging your battery stem on the go. It also has enough room to house your e-cig, a spare battery stem on charge and three cartomisers pre-filled with eliquid. 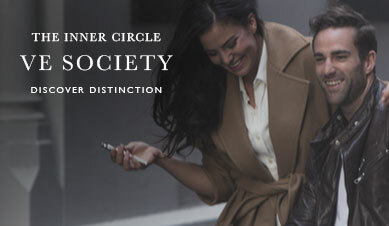 With a Deluxe Starter Kit, you are getting exceptional value for money. The package includes two battery stems, a portable charging case, 4 x cartomiser 5-packs (20 in total) plus a mini USB cable and power outlet adapter for charging the case. The charging case will be able to give you up to 5 battery stem recharges, ensuring you have plenty of power for vaping wherever and whenever you need it. Meant to give 5 stars on my review. Still loving it but strangely have found my favourite flavour is “Tobacco “ closely followed by “Coffee”. Pity there wast any of the Artisan or Classic flavours available in the cartomisers. Have only just received my starter kit but the quality is exceptional, the size of everything is just perfect. 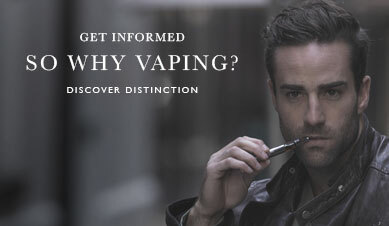 I have tried it a little but I’m sure this is going to finally be the device that helps me give up smoking cigarettes. The flavour of the “whole leaf tobacco “ seems pretty darn good & just the feel of it (nice & light & not to thick & long) is perfect. Shipping was fantastic, ordered Sunday arvo & received it today (Thursday). So quick. Will definitely be ordering some more flavours in the near future. Received my v pack on the weekend and am currently on my second day on my quitting smoking journey. After having my first cigarette almost 20 years ago now then following a pack a day habit for easily the last 10.. for the first time I’m finally giving it a go at ditching the habit. I tried the V-pack to help cut back/ quit smoking. Had it 5 weeks now & instead of 200 cigs a week, I smoked them in 5 weeks. So an immediate drop to only 20% of what I used to smoke. 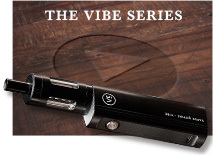 An ordinary bulky vape is okay for sitting at home, but going out or gardening, the tidy little unit with a large cigarette type vape is ideal. I have also found it satisfies me more that the bigger unit. Most likely psychological due to size & actions matching more closely. Highly, no, very highly recommend for people trying to cut/ stop the smokes. The shipping was fast and was even delivered on a public holiday!!! The product is complete with everything I needed, all in stylish high quality packaging. I have smoked cigarettes for thirty years, and thanks to my v pack I have finally quit! Wow just got my starter kit today and I must say this is the best e-cig I ever used! Very stylish, flavours are amazing and got the express post option and was so fast!